No question asked money back guaranteed 14 days after delivery. 2 years legal warranty of MOVE 'N SEE products. Present sales terms apply to sales between MOVE 'N SEE company and final customers who want to buy the products such as the PIXIO, and accessories. These sales terms apply to the exclusion of all others, and notably the ones of resellers or distributors or any other distribution channel. These sales terms are accessible on this website (www.movensee.com) and their french version will take precedence over any other version. The files of the company MOVE 'N SEE will be the proof of all trade exchange with the customer. Products and offers are available only within the limits of the stocks. Information on product availability are provided at the time of the order when adding the product in your basket. These general sales terms may be modified at anytime, but the terms applicable are those enforced on the site on the date your order is placed. The validation of orders is worth acceptance as of these general terms of sales. - Secured online payment, worth acceptance as of these general terms of sales. The products are supplied at the prevailing rates on the date of the order on the website. They are given in Euro, less tax and with tax, depending on the countries inside or outside UE. The prices are binding and non revisable for the period in which they are valid. They include shipment and transport costs as mentionned at the end of the order process. An invoice is raised by MOVE 'N SEE and provided to the customer at the moment of the delivery, by e-mail or in the package. The price is payable in full, on the date the order is placed by the Client, by secure payment, in accordance with the payment tools on the website. The company MOVE 'N SEE will have no obligation to deliver the products ordered by the Client if this one does not pay the full amount according to above mentionned conditions. The company MOVE 'N SEE reserves the right, in case of non respect of aformentioned terms of payment, to suspend or to cancel the delivery of the client's order. The products purchased by the Client will be shipped and delivered within a reasonable amount of time, to the address indicated by the Client on the forms during the order. Except in special cases or if one or several products is unavailable, the products ordered must be sent out in one delivery. Deliveries are insured by an independent carrier. However, these time limits are communicated for indicative purposes and are prone to variations in particular in period of strong demand. Any overrun cannot give rise to any damage, withholding or cancellation of the order by the Client. The Company MOVE 'N SEE holds to assure you that it will make any possible sound to respect the deadlines and to satisfy its customers as well as possible. However, if delivery does not occur within 1 month after the date specifying delivery, the sale may be cancelled upon the request of either party. All amounts paid by the Buyer will be immediately refunded, excluding any indemnities. The delivery is considered made from provision of the products to the carrier. The Client acknowledges that the Carrier has to deliver the products and He has no recourse to the company MOVE 'N SEE. The Client is responsible for checking the products delivered. He has 5 days to make a claim in writing to MOVE 'N SEE about any non conformance and apparent defect. After this delay and in the event that he does not conform to these formalities, the Products will be considered to be conform and exempt from any apparent defect and no complaint will be ligitimately accepted by MOVE 'N SEE. MOVE 'N SEE will replace or reimburse, at his discretion, and at maximum 30 days after reception by MOVE 'N SEE, the products with apparent defect and/or non conformance proven by the Client. The risk and ownership transfer from MOVE 'N SEE to the Client is made as soon as the Products are delivered to the carrier. The products travel to the risks and dangers of the Client who must, in the event of damage or of lack, to make any observation necessary to the carrier. The Final Customer purchasing from MOVE 'N SEE has a right of cancellation during 14 working days after the delivery. He can send back the products to MOVE 'N SEE for exchange or reimbursement, if products are returned in their original package, in a perfect state, within 14 working days after delivery. Any damage or missing part will cancel this right of cancellation. Shipping and Return costs are the responsibility of the Client. The returned products MUST be accompanied with a return code, delivered by MOVE 'N SEE by e-mail, phone, or contact form on the website, and also the MOVE 'N SEE invoice and the transporter delivery documents. The exchange (if available) or reimbursement will take place in the next 30 days after reception of the products by MOVE 'N SEE. - 2 years legal warranty against hidden defects originating from a materials defect, or from a design or manufacturing defect affecting the Products delivered and rendering these unfit for use. - Any manufacturer's warranty, if applicable for the brands and products delivered. 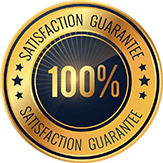 No guarantees can be applied in the event of wrongful use,negligence or faulty maintenance on the part of the Customer, or in the case of normal wear and tear on the item, or force majeure. Warranty from MOVE 'N SEE is limited to the replacement or reimbursement of the products with non conformance or hidden defects. In order to preserve its rights, the Client will have to inform in writing MOVE 'N SEE not later than 7 days after he discover a hidden defect. MOVE 'N SEE will replace or repair the products under warranty if they are judged defective. The products proposed on the website complies with european norms CE and american norms FCC, and it is the Client responsibility to check they comply with its local norms. MOVE 'N SEE is not responsible in case of non-respect of the legislation of the country where products are delivered. Photos and pictures of products on the website are indicative and not contractual. The Client is responsible for the choice of the products, their conservation, and their use. MOVE 'N SEE will not be considered responsible nor at fault for any delays or non-delivery due to circumstances beyond the control of MOVE 'N SEE, as recognised by French jurisprudence, or local jurisprudence of the delivery place. MOVE 'N SEE will not be considered responsible for any defect or anomaly of products manufactured by a third party and sold on the MOVE 'N SEE website. It is the Client responsibility to pursue remedies against the manufacturer. MOVE 'N SEE can provide to the Client all information available about the manufacturer in order to help making the connections. As of the French law 78-17 of 6 january 1978, it is recalled that personal details provided by the Client are crucial for the correct and efficient processing of the order. According to national and European regulations currently in force, the Client has the right to permanently access, modify, correct or oppose his private data. All site content is MOVE 'N SEE property. Any full or partial reproduction without the specific written agreement of MOVE 'N SEE is forbidden, and can be considered as infringement. Additionally, MOVE 'N SEE keeps the ownership of all property right on studies, drawings, models, prototypes, etc made for the delivery of the Client. By express consent of the Parties, this Agreement is subject to French law, excluding any other legislation. It is written in French first, and in case of translation only the French version shall be the only authoritative text in the event of a dispute. Any dispute will be submitted to the competent courts under the conditions of common laws. In case of dispute with a professional, the court of BREST (France) will be relevant. For a real or artificial person, an order on the MOVE 'N SEE website implies full acceptance and adherence to these terms and conditions of sale. This is expressely understood by the client, who agrees, in particular, not to recognise any contradictory document, which would be void by MOVE 'N SEE. Don't miss out! Receive the latest PIXIO related news, content and announcement right in your inbox. We are confident that you will love our products! If needed, you can count on our super reactive and efficient Customer Support team. Don't hesitate to ask them all your questions. If in spite of all our efforts the PIXIO robot does not meet your expectations. You can return the product to us within 14 days for a refund. We use an encrypted SSL connection to ensure that your information is 100% secure. You can order your items in our shop with confidence. Sales terms - legal - Sitemap - Copyright © 2018 - MOVE 'N SEE - All rights reserved.